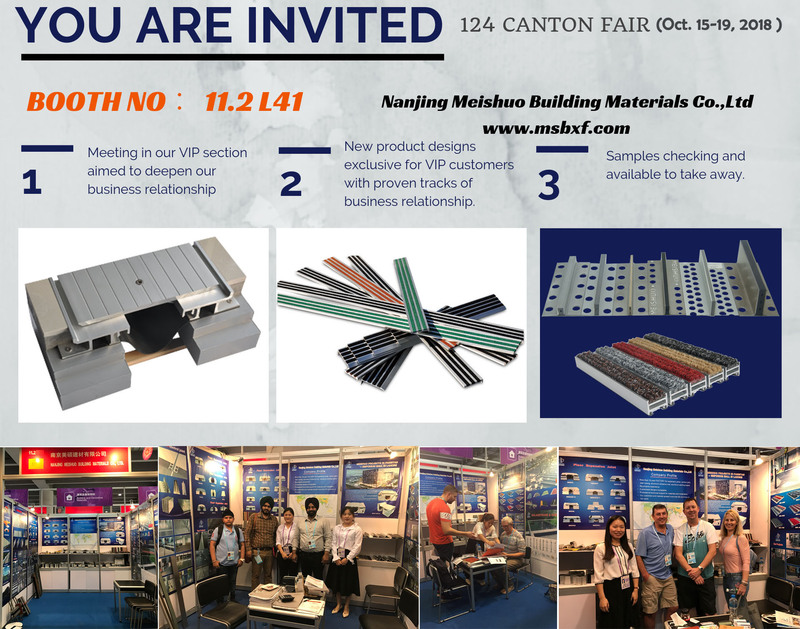 Meishuo are pleased to extend our valued customers a cordial invitation to our VIP section at the 124th Canton Fair，15th-19th Oct. Aimed to deepen our business relationship. Our new product design, from concept to ready-to-produce，exclusive for VIP customers with proven tracks of business relationship. Lots of samples of expansion joint covers, stair nosing, movement control joint and aluminum entrance matting will be showed in our booth.